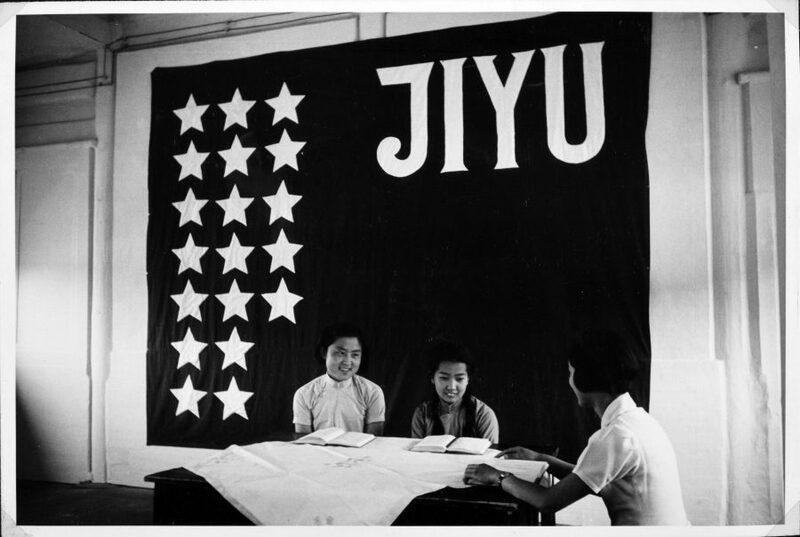 Two Chinese school students take lessons in Japanese beneath the flag of the Peking Jiyu Gakuen. 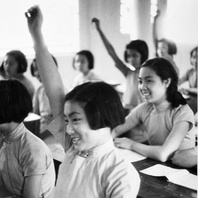 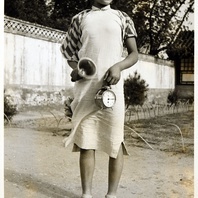 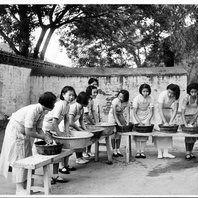 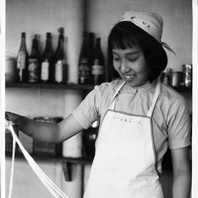 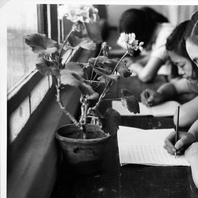 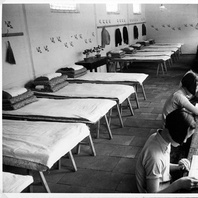 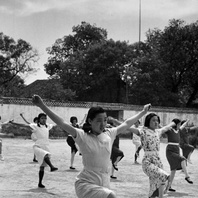 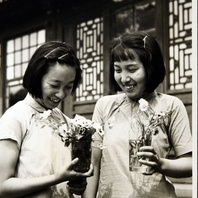 From a collection of staged photographs produced under the title “Life at a Girls School in Peking”, and produced at the Peking Jiyu Gakuen in Japanese-occupied Beijing. 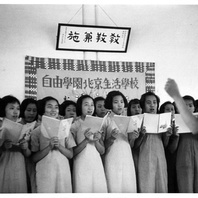 The original caption reads: “This instructor is not very much older than 20 years old [sic]”.